An Unlikely Story is pleased to offer yoga to the greater Plainville community! Start your week with setting an intention for balance, flexibility and mindfulness with a gentle Viniyoga practice (breath based yoga). 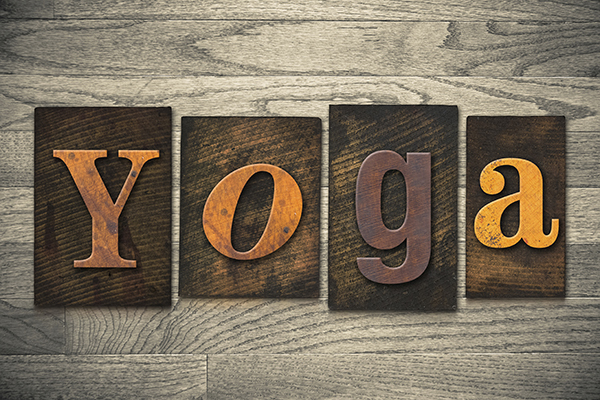 The class will offer mellow vinyasa flows, gentle stretches, and seated meditation. Appropriate for all levels including beginners. Drop in for $20 or purchase an 8 class card for $120 ($15 per class). Register before class, checks or cash only. For questions, please contact Katie at: yogaremedy3@gmail.com. Katie Lieberman has been teaching yoga for 20 years in the Southern New England area, and is the lead teacher for Breathing Time Yoga's Teacher Training Program. "It's both an honor and a calling to lead others back to the mat again and again to find wholeness, perspective and the precious unbreakable spark of life that exists within us and connects us all as One." Can't make it to an event? We're always happy to set a signed copy aside for you or put one in the mail. Just add the book to your cart, and in the comments section, let us know that you want a signed copy, and tell us if you'd like the author to personalize the inscription (when available). If you would like it personalized, be sure to place your order at least 24 hours before the event. Personalized books must be paid for in advance.